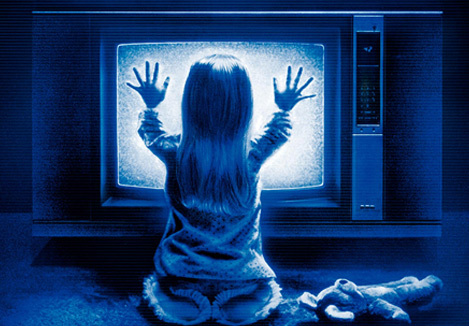 "The Poltergeist" trilogy is one of the better well known franchises in the Horror genre, some may say that it's well known for the wrong reasons. 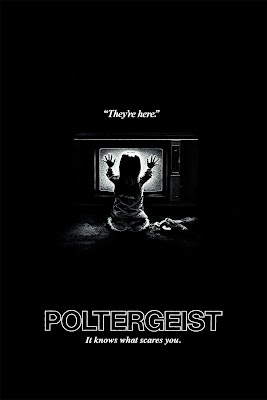 Yes I'm talking about "The Poltergeist" curse. 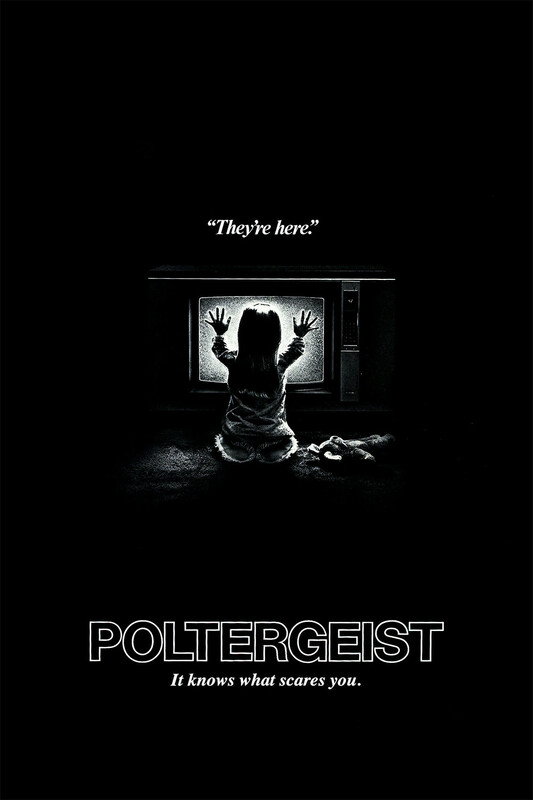 "The Poltergeist" curse is one of those things that you either believe or you don't, either way it's tragic what happened. For those of you who don't know the full story then here it is. We'll start with the pool scene. 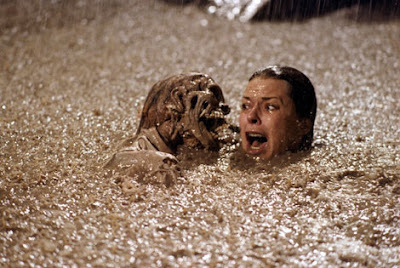 For those of you that don’t remember the scene, it was the one where Diane Freeling's character "Jobeth Williams" was outside looking for help, she falls into the muddy swimming pool, and the bodies from the forgotten cemetery surfaced up from underneath the mud and into the pool with her. Where they real corpses or not? Legend has it that they were, real or not it set the curse legend in motion. One thing to remember is that In the past it wasn't at all uncommon for doctors or scientists to purchase cadavers and have the flesh and muscle removed so that the cleaned skeleton could be wired back together and studied. It probably wouldn't be out of the question for theatre companies or movie studios to have done the same thing. If these old props made from real skeletons were still hanging around in a storage facility somewhere, it would not be out of the realm of possibility for them to be taken and redressed to be used in "Poltergeist". A-lot of weird things happened on the set of all 3 films, there were deaths, strange goings on and more. Let's start with the first film. As production continued on the first film, Jobeth Williams claimed she would return home after a day of shooting to find the pictures on her walls off kilter. She’d fix them, and go to work the next day only to come home, and find them all messed up again. Also during filming, author James Kahn was in the process writing the "Poltergeist" novelization. There were a lot of stormy nights in the story, and as he was writing about one of them, he claims he had a bizarre occurrence of his own. As he typed the words “thunder and lightning ripped the sky,” a real bolt of lightning hit the building that he was in. It made his air conditioner explode. The debris flew across the room, and hit him in the back. 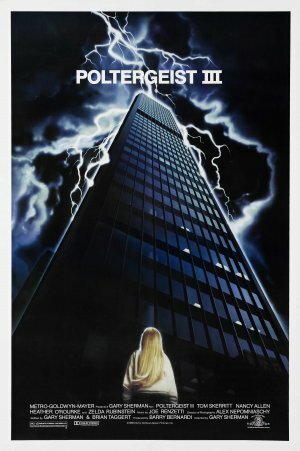 One of the worst curse stories from "Poltergeist" is the murder of Dominique Dunne. Production on the film had ended, and all involved were free to do other projects. Dominique Dunne went on to start filming a new project. One night she was rehearsing lines with co-star, David Packer. While rehearsing, the two friends had music on in the background. That night it was the Poltergeist Soundtrack by the late, great composer Jerry Goldsmith. Her previously abusive boyfriend, John Sweeney showed up. She had broken it off with him shortly beforehand, and he was trying to get her to take him back. They took their argument outside where he choked her into a coma. She died four days later and was buried in Westwood Memorial Park in Los Angeles. With the huge success of it's predecessor the studio decided to make a sequel with some of the original cast returning. The strange goings on continued. Craig T. Nelson who played Steven Freeling told a story about the filming of the cave scene. The cave in the story was back in Cuesta Verde in the same location as the house in the first film. Inside the cave there were supposed to be the corpses of the people who had been buried there. While on the cave set, cast members always felt an uneasy feeling. He spoke of a feeling that something just wasn't right about the whole thing. Apparently, the film-makers had decided to use real skeletons just like the first film. According to cast & crew a-lot of weird things were happening on set. It must have got really bad because the production came to a virtual standstill. The bad feeling about the set among the cast & crew just wouldn’t go away so there was only one thing left to do, an exorcism was conducted. Will Sampson, who played "Taylor", the Native American shaman was actually a real Shaman. The studio security was told to leave the place unlocked so Sampson could come in the middle of the night and do his exorcism ritual. After that, everything stopped, and production could continue. In an interview, Craig T. Nelson spoke of the incident. He said, “I am convinced that the presence of Will Sampson on this film saved us from tragedy. Sampson not only plays a shaman, he is himself a shaman, and I believe that it cost him dearly in terms of his own personal health to see us safely through.”. Not long after the films release Will Sampson, died as a result of kidney failure. Julian Beck, who played the very creepy "Kane" also died of stomach cancer before the film had finished filming, he had finished his scenes though. You'd think after everything that happened so far the studio would decide to stop, well as we know they didn't but everyone else had, had enough, only Heather O’Rourke and Zelda Rubenstein returned. The apparent 'curse' continued. During the filming of a scene in a parking garage, in which the garage was to appear to be on fire. In reality, the garage was completely engulfed in flames, and only one crew member was not injured in the fire. During a photo shoot for the film Zelda Rubenstein got a nervously sick feeling as if something were wrong. After the shoot, she got a phone call. Her mother had passed away. Later, viewing the pictures that were taken during that shoot it was noticed that one of the images had an unexplainable anomaly. A white light was shining over Zelda’s face in only one frame. She claims that that was the moment where she felt ill, and her mother passed. The most tragic is the story of O'Rourke. 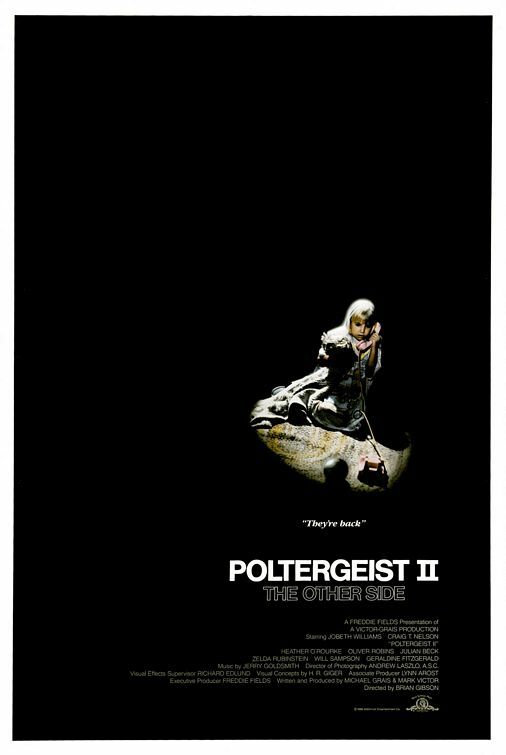 Immediately after completing the film, 12 year old Heather O’Rourke had taken ill with the flu, after being hospitalised she was wrongly mis-diagnosed with Crohn's Disease. She was prescribed medicine to treat the disease, which allegedly puffed up her cheeks. On January 31, 1988, O'Rourke suddenly became ill again, vomiting and unable to keep anything down. The next morning she collapsed while preparing to leave for the hospital and her stepfather called paramedics. O'Rourke suffered a cardiac arrest en route to the hospital, and after resuscitation she was airlifted by helicopter to Children's Hospital and Health Center in San Diego, where she died later that afternoon. Speaking to reporters, O'Rourke's manager David Wardlow initially announced that it was believed O'Rourke died of influenza. However, hospital spokesman Vincent Bond announced that O'Rourke died during surgery to repair an acute bowel obstruction (caused by congenital stenosis of the intestine) complicated by septic shock; this report was corroborated by the San Diego County coroner's office on February 3, two days after her death. Later reports changed the specific cause of death to cardiac arrest caused by septic shock brought on by the intestinal stenosis. They had to re-film one scene without her using a double. She was also buried in Westwood Memorial Park in Los Angeles along with her co-star Dominique Dunne. Whether the curse is real or not you can't doubt the intriguing and yet saddening facts of the films. Was it just bad luck or is the "Poltergeist" curse real, we'll never really know but one things for sure, it's made it's way into the urban legend stories and makes the viewing of the films even creepier.